The sound of the Native American flute has echoed across the Americas for thousands of years. Today, this sound is enjoyed by millions of people around the world. Meet these songkeepers, as they gift their unique personal expressiveness. 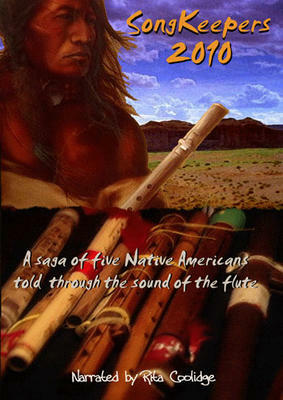 This video features the personal journey of five Native Americans told through the sound of the Native American flute... R. Carlos Nakai, Kevin Locke, Sonny Nevaquaya, Tom Mauchahty-Ware and Hawk LittleJohn. It explores the mysterious origins, time honored legends, spiritual values, and personal pathways of several cultures. This presentation honors all Songkeepers; past, present, and future. Received your Eagle One flute case, and I love it. Excellent quality and pattern. A great traveling home for my Brent Haines Classic.